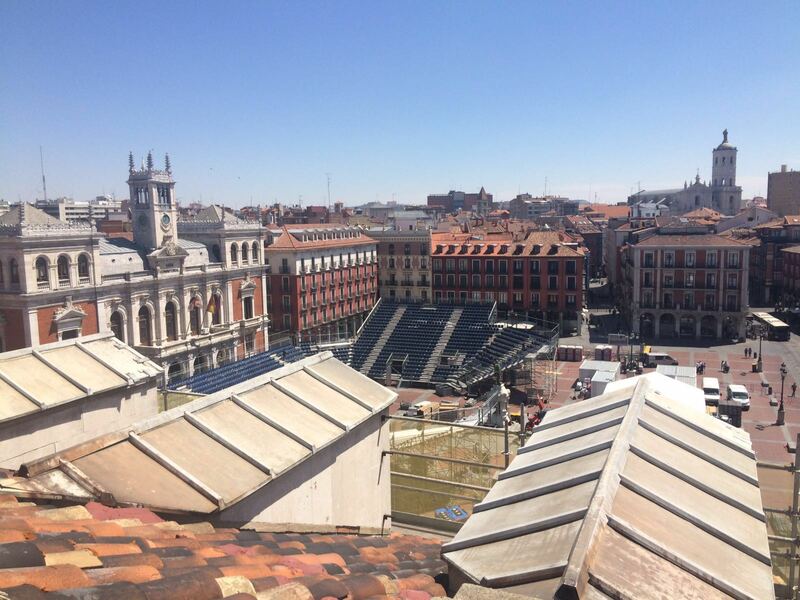 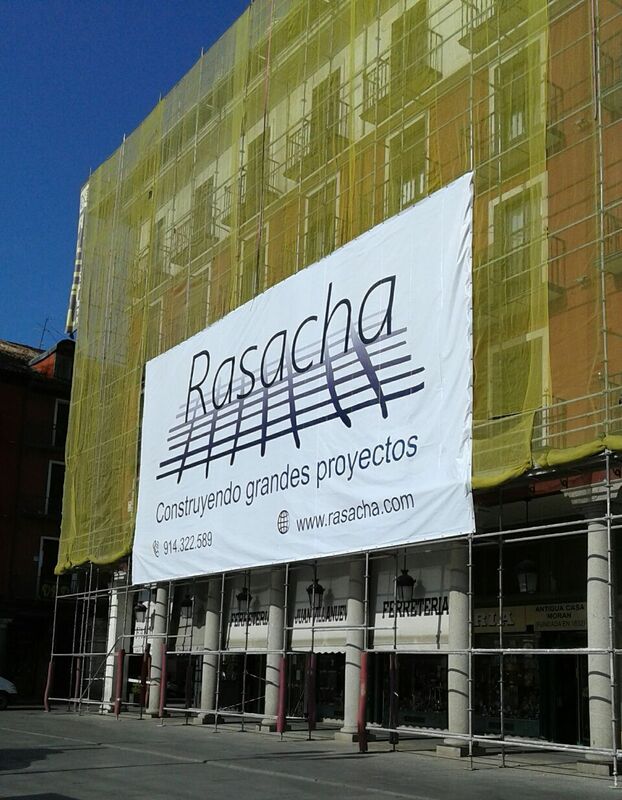 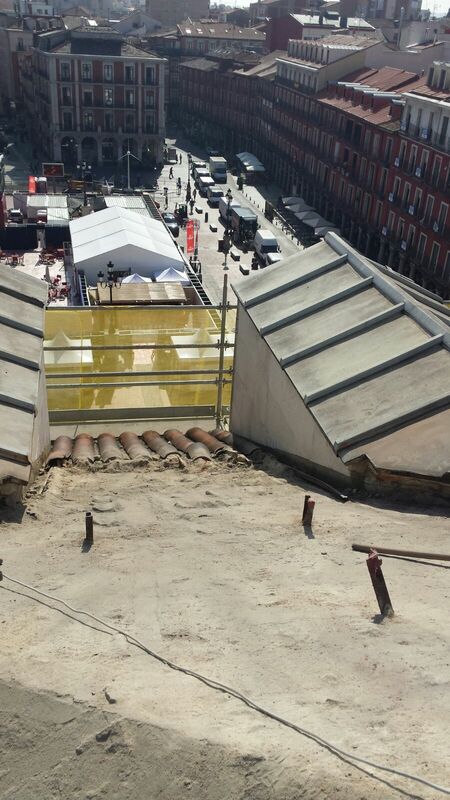 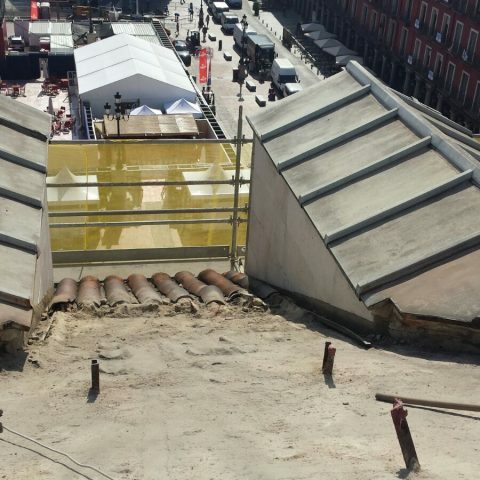 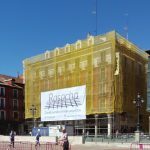 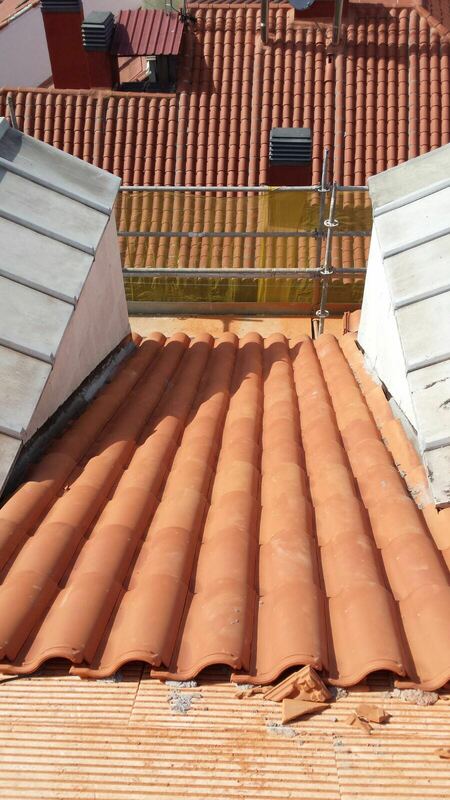 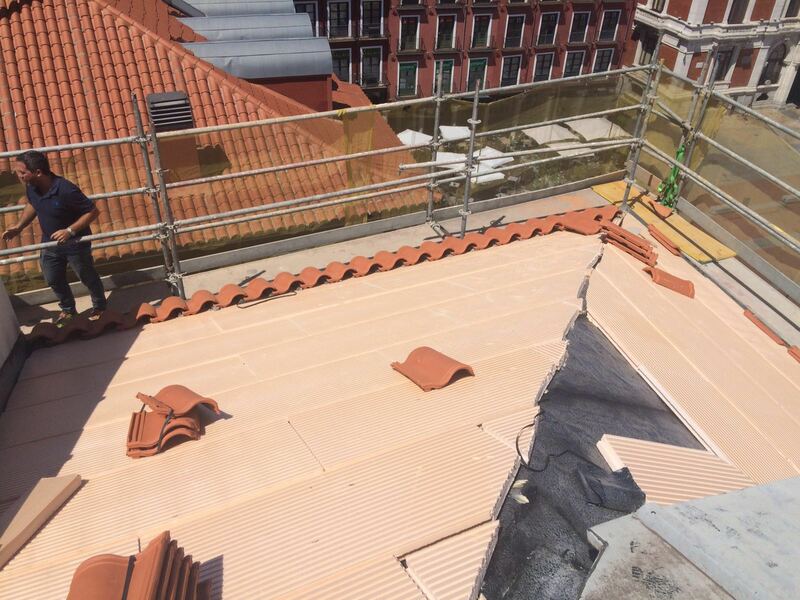 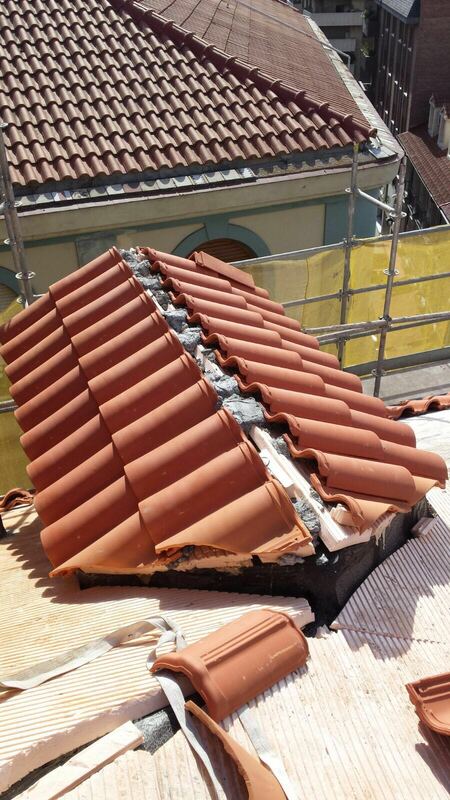 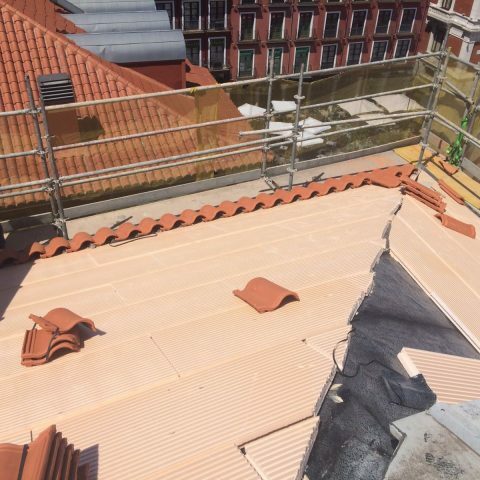 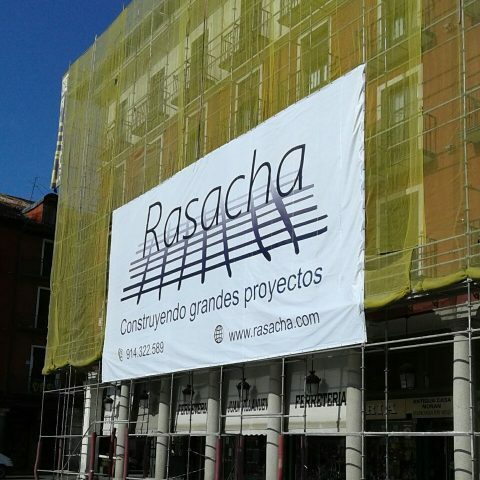 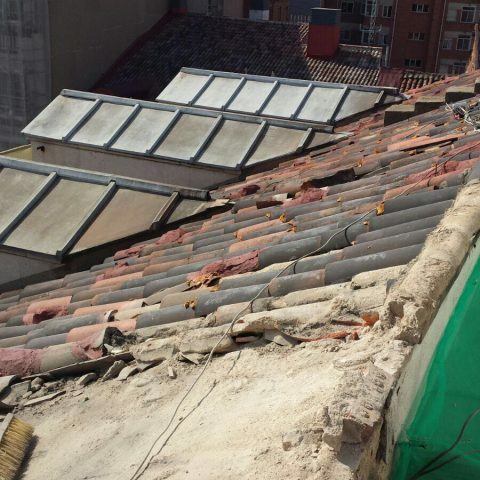 Rasacha is in charge of the rehabilitation of one of the roofs of the Plaza Mayor in Valladolid, a privileged enclave yet, deteriorated by the passage of time and external agents. 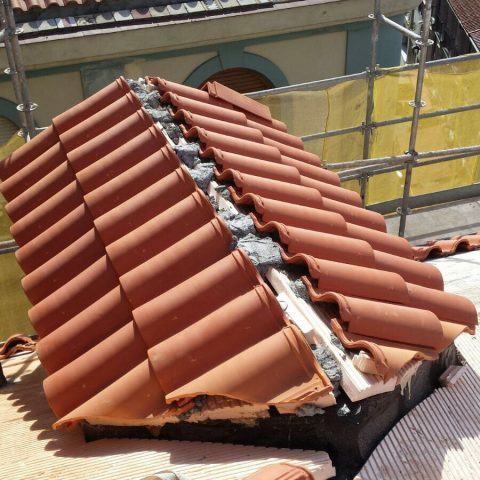 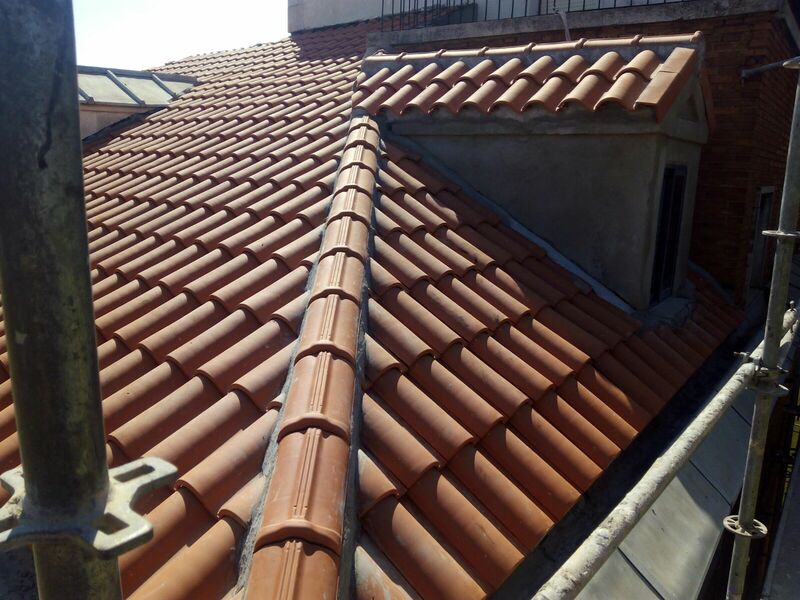 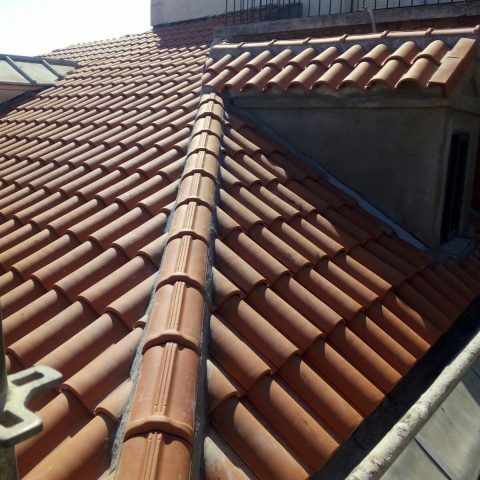 First, the Arab tile will be removed, and then replaced by a new one, at the same time as sheet metal cover will be dismantled so it can be repaired by chopping any plaster which is in poor condition and replacing it along with the application of an outdoor stone paint. 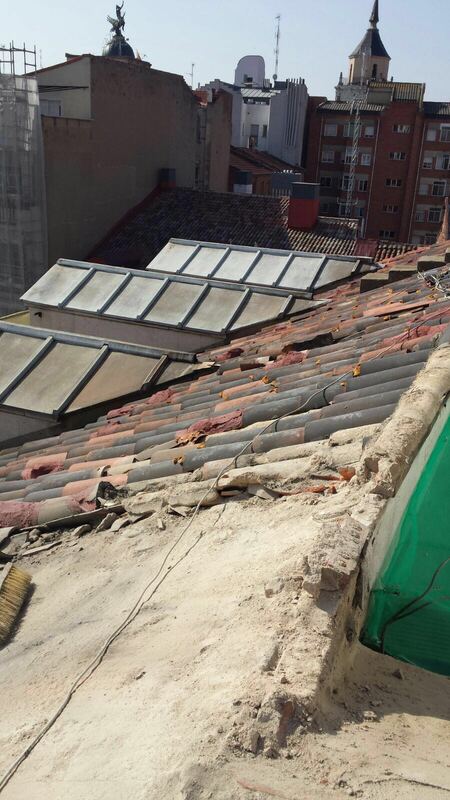 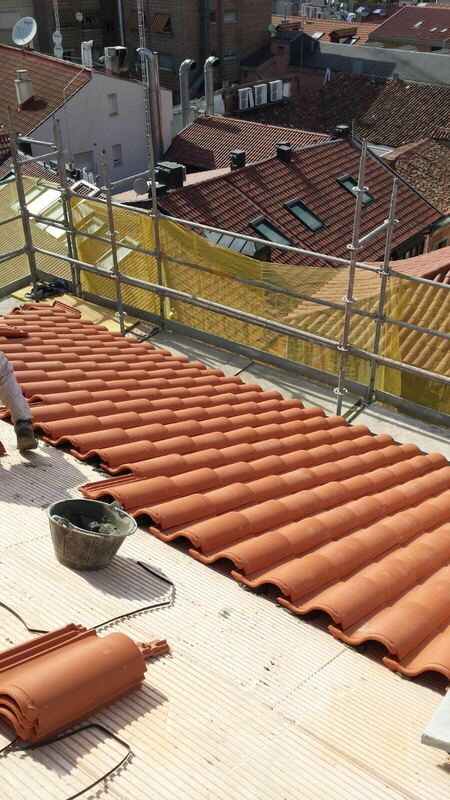 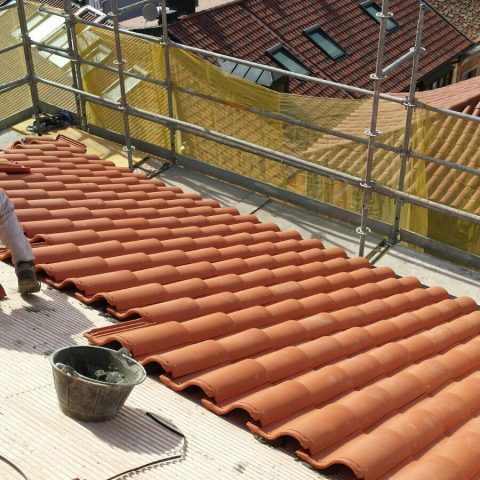 The inclined planes are regularized to waterproof both the roof and the embrasures by means of an asphalt primer (Curidan), which will be used once the mixed red ceramic tile is replaced. 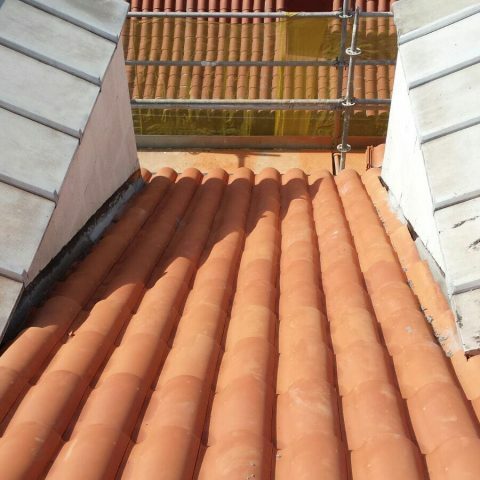 Another element of the refurbishment project is the chimney, in which a repair is performed consisting of: chopping up the plaster which is in poor condition and the preparation of the support and then finally the application of a mortar monolayer.